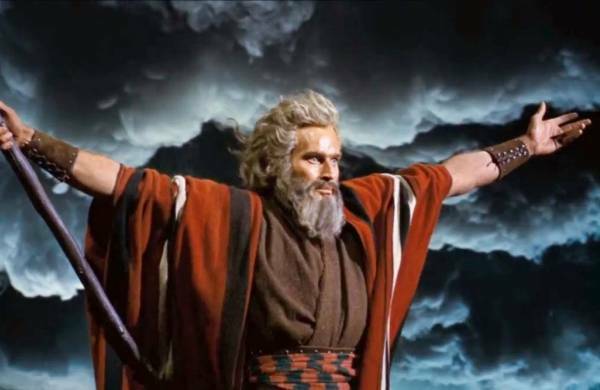 Another thing that re-struck him, Mr Trump said, was what a “yuuuge, sorry loser” Moses was, and how weak and incompetent he proved in his negotiations with pharaoh. “I’m sorry to say it, but President Moses wasn’t very smart. Apparently, he was pharaoh’s adopted grandson, so at least he shoulda tried being nice to the old boy. Instead he threatens him. Mr Trump observed that if he’d been the Israelite president, he would have worked for and secured a much better deal. Mr Trump said that instead of boils and locusts, he would have offered pharaoh “a nice little property deal, which is what everybody wants, no? He laughed. “Well relax, King Tut, you obviously never heard of foreign guest workers. We’ll still do it for you and even get the Sumerians to pay for it. A hundred thousand men over 20 years? No problem. Mr Trump closed out the press conference by noting that he was also studying the “instructive” story of David and Goliath.